Thanks to @thegrugq for tweeting this (and numerous other) meme celebrating the operational security failures of the recently arrested administrator of the Silk Road 2.0. 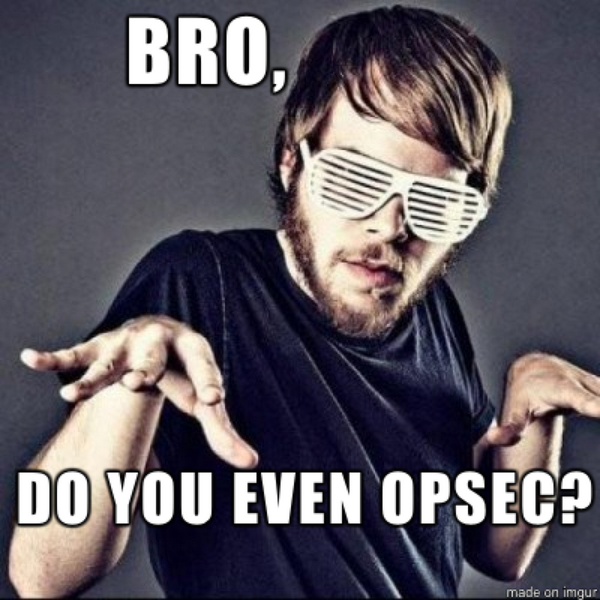 And in case you're wondering about the title - every day is OpSec day. I hope nothing bad happens as a result of my crossing the memes.